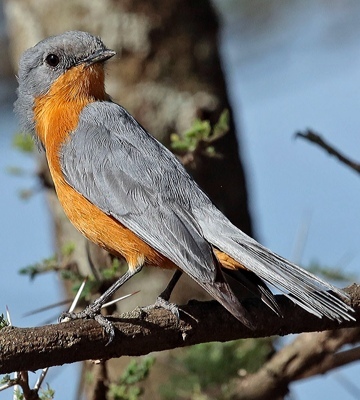 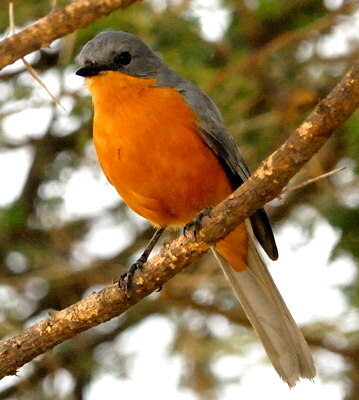 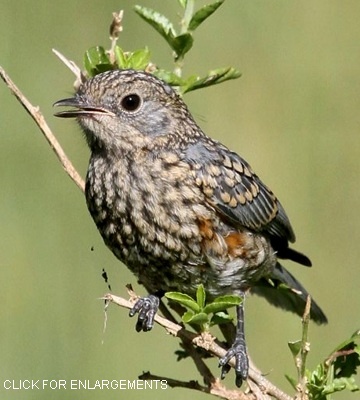 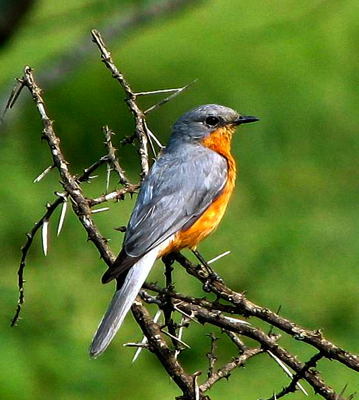 The silverbird is a grey and rufous flycatcher found in acacia woodland and bushed grassland. 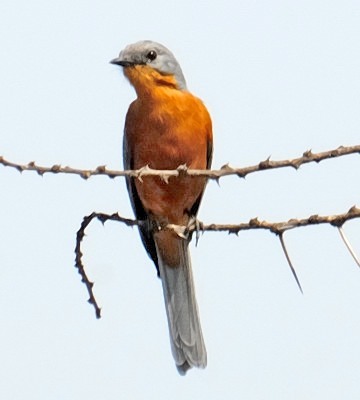 The upper three and right lower photos were taken in Tarangire NP: the top pair investigating an abandoned rufous-tailed weaver nest and the juvenile are courtesy of Paul Oliver. 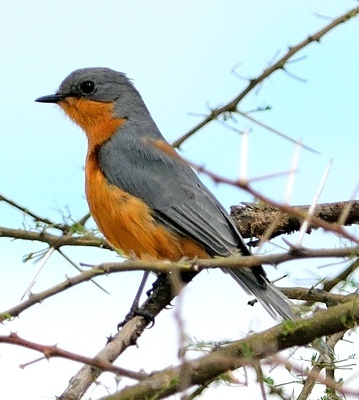 All of the other birds were photographed in the Serengeti; the right 2nd row photo is courtesy of Karine Van der Vurst. 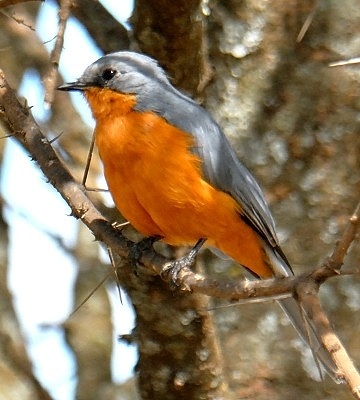 The left lower photo is courtesy of Tom Nicholls. 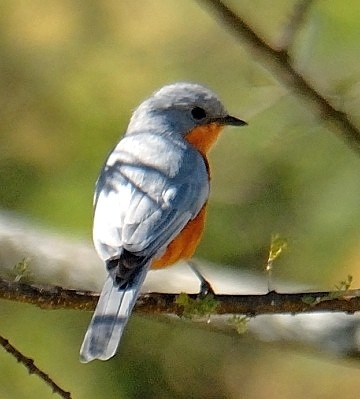 Click the juvenile to see 14 enlargements including juvemiles and immatures.